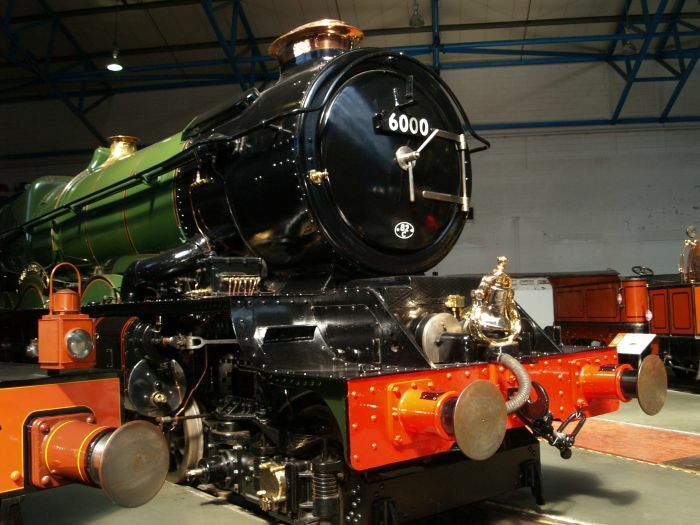 Locomotive 6000 KING GEORGE V built at Swindon in 1927 to a 4-6-0 design by Collett. 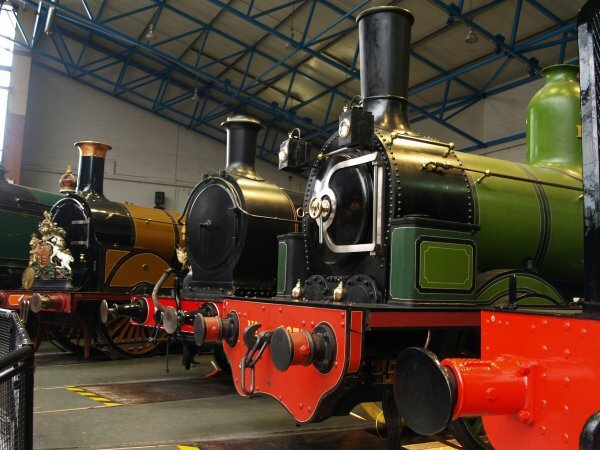 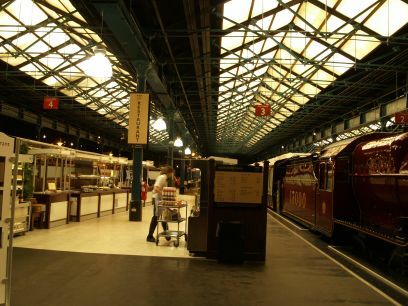 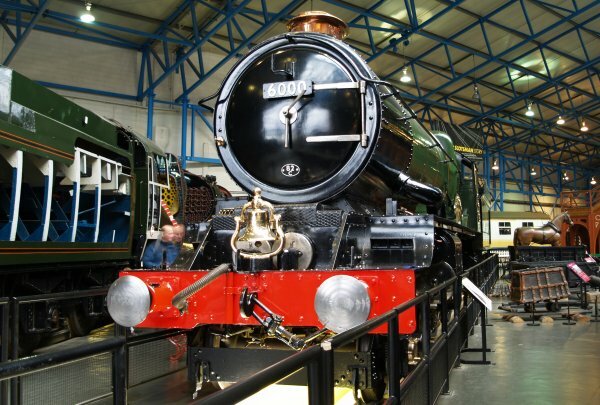 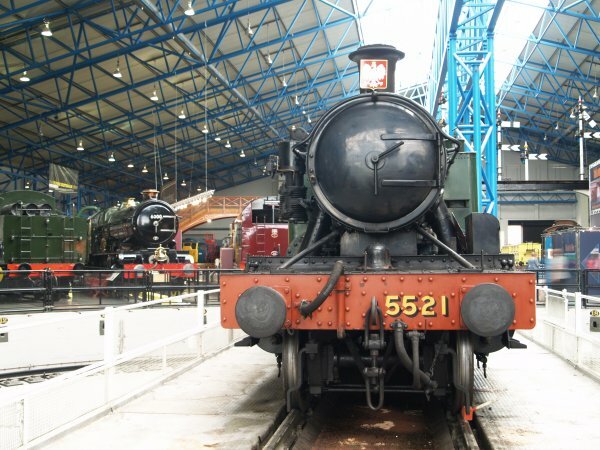 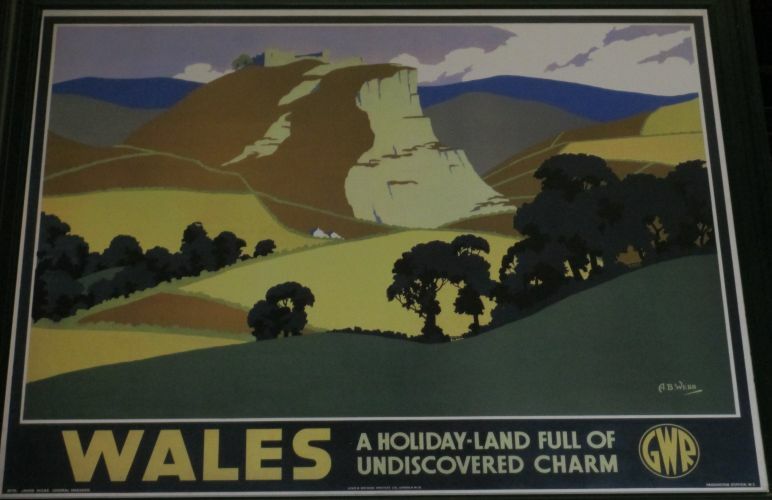 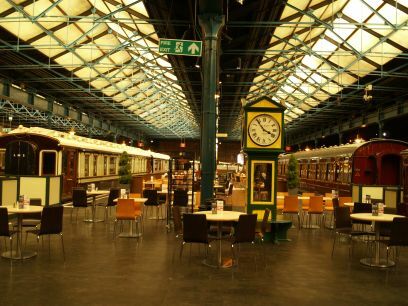 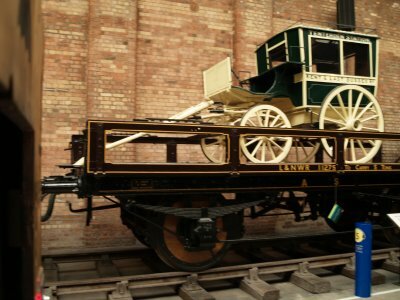 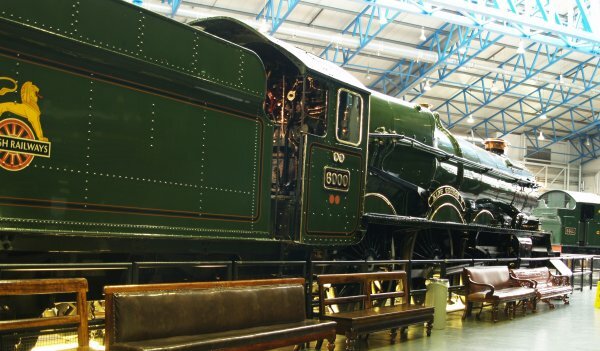 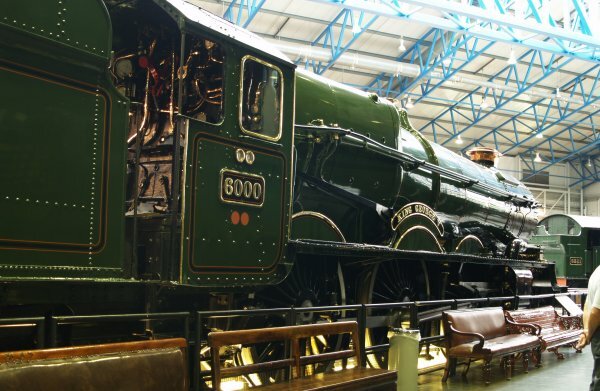 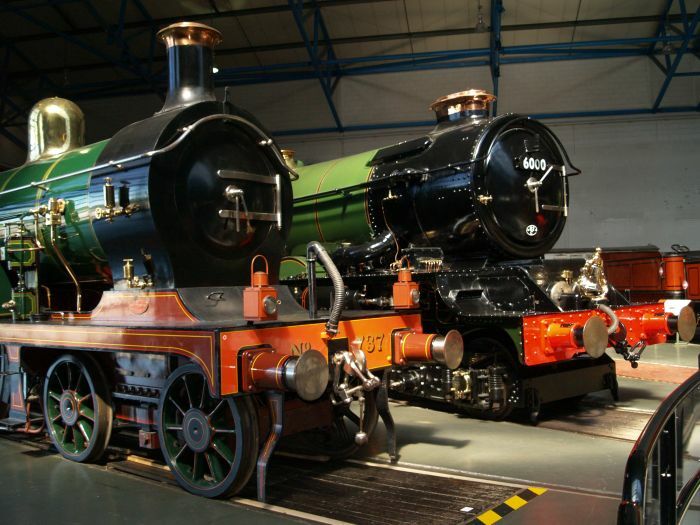 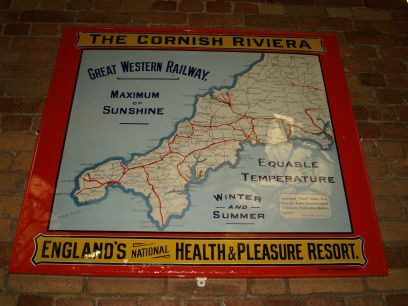 The 6000 Class of the GWR were the most powerful GWR express passenger locomotives and hauled trains to the West Country, Bristol and the West Midlands. 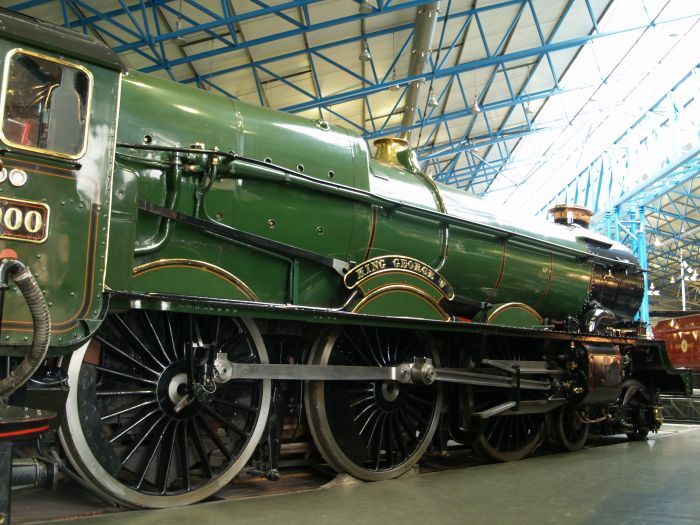 6000 King George V was the first KING class locomotive and shortly after completion in June 1927 it was shipped to America to take part in the Baltimore and Ohio Railroad centenary celebrations. 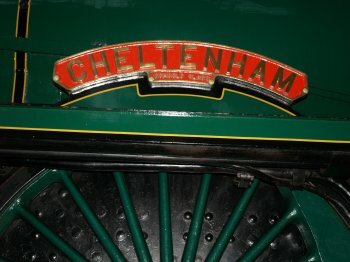 There the engine was presented with a bell and plaques to commemorate its contribution and these are still carried by the locomotive today. 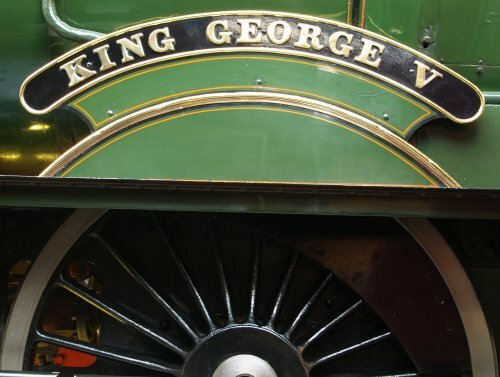 When King George V returned to Britain it was known as 'The Bell' until its withdrawal and fortunately NOT scrapped like so many of its contemporaries! 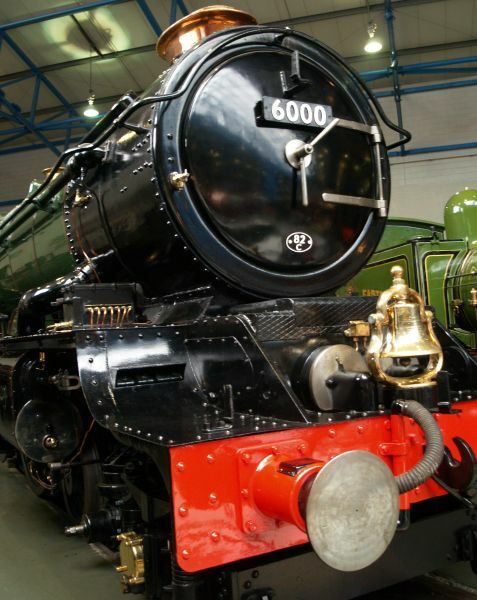 6000 has a bell on the front. 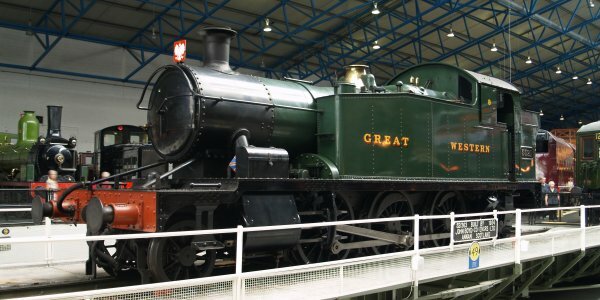 Ex GWR 4500 Class 2-6-2T tank engine 5521 built at Swindon in 1927 to a larger tank design of Collett from an original Churchwood design of 1906. 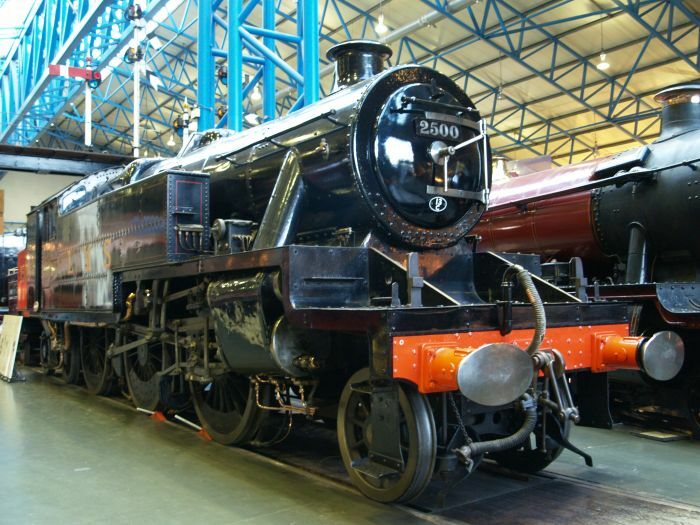 Ex LMS Stanier 4-6-2 tank locomotive 2500 originally built for the London Midland Scottish Company. 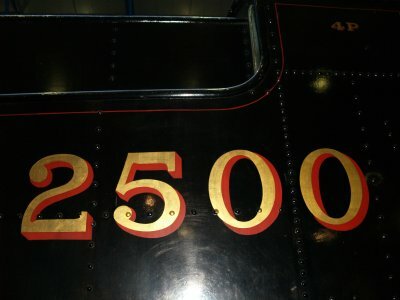 BR number 42500. 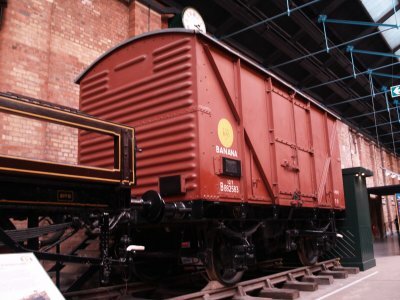 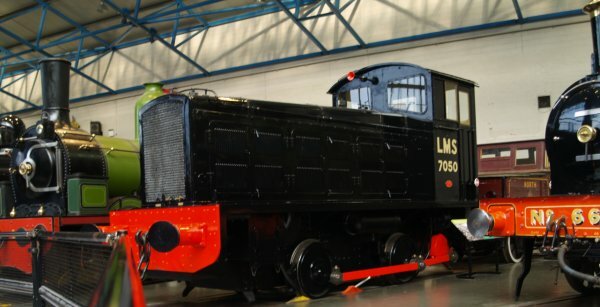 An early LMS 0-4-0 diesel shunter 7050 built in 1934 at the English Electric Works in Preston, Lancashire (was once called "RORKE'S DRIFT"). 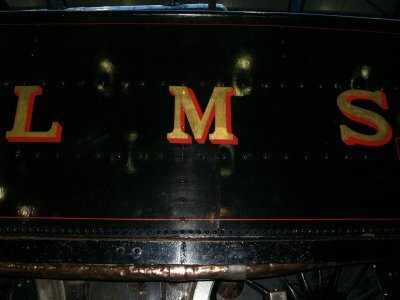 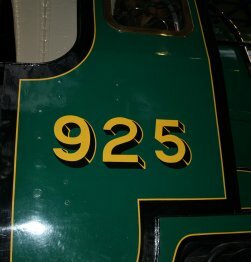 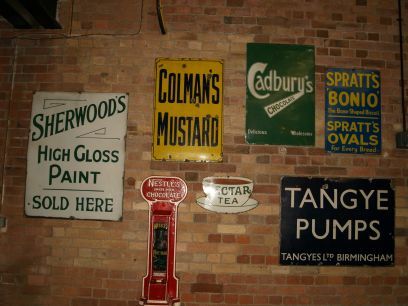 The driving club and nameplate of Schools Class V 4-6-0 passenger locomotive design by Maunsell, ex SR/BR 925/30925 CHELTENHAM, built at Eastleigh Locomotive Works in 1934. 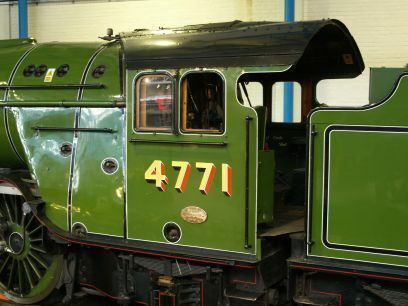 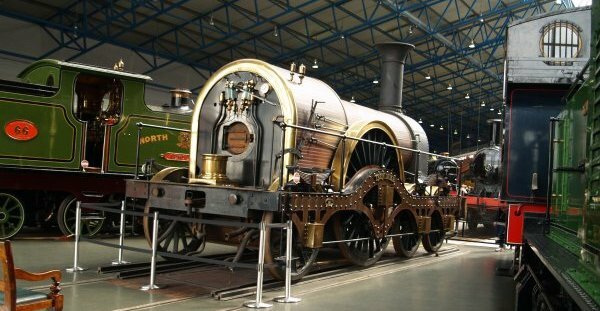 The very powerful and mighty looking Class KF 4-8-4 No. 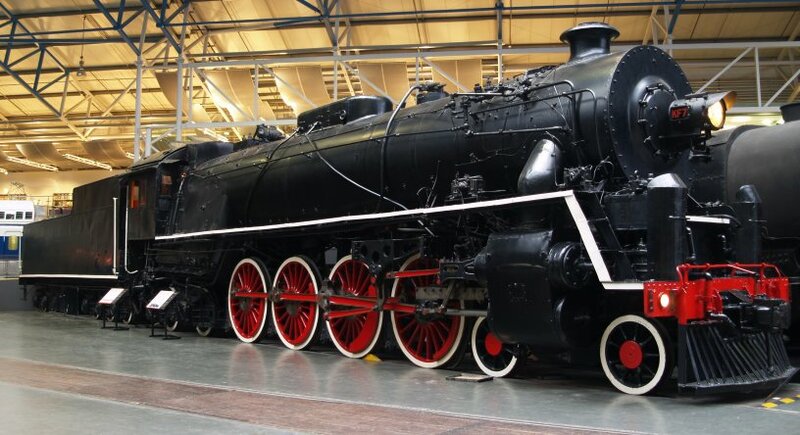 607 locomotive built in China in 1935 for the Chinese National Railways. 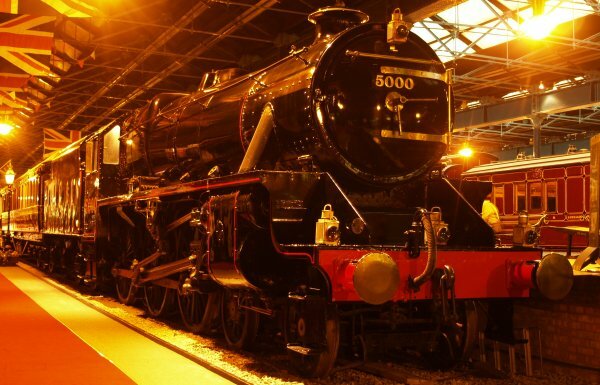 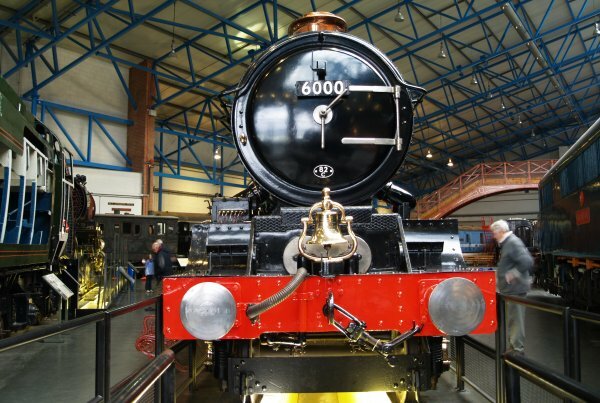 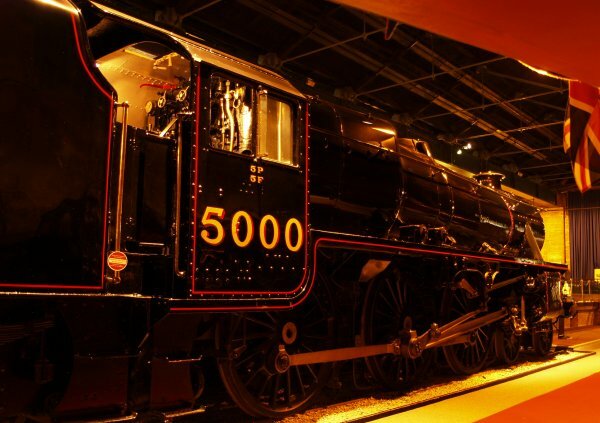 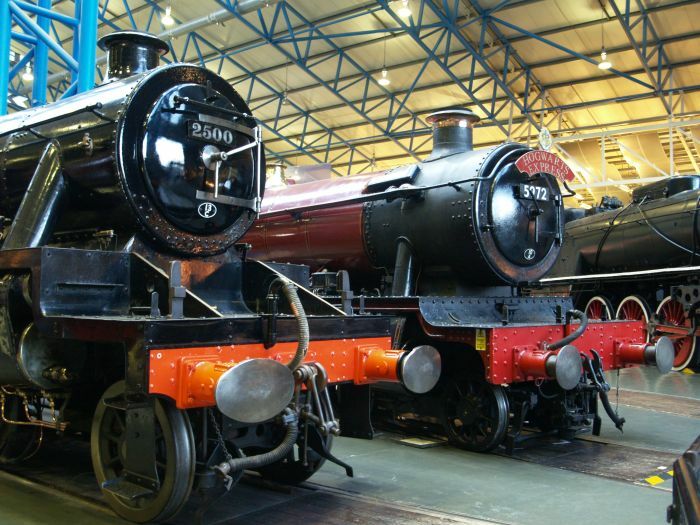 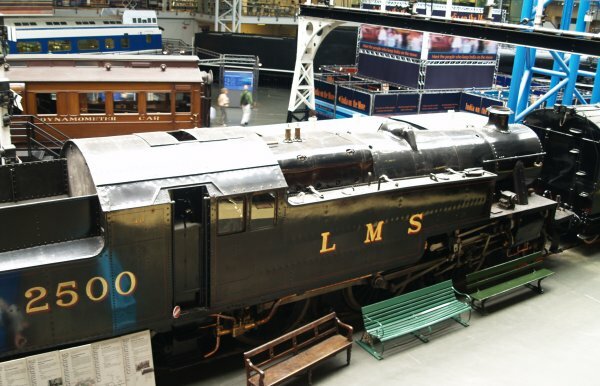 The first of the famous Stanier 4-6-0 'Black Fives' LMS 5000 which became BR 45000. 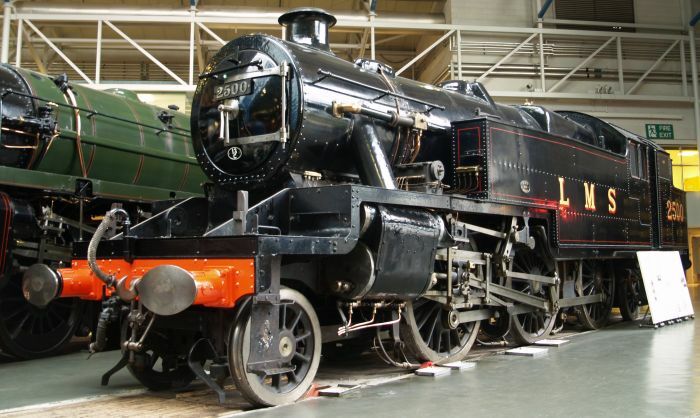 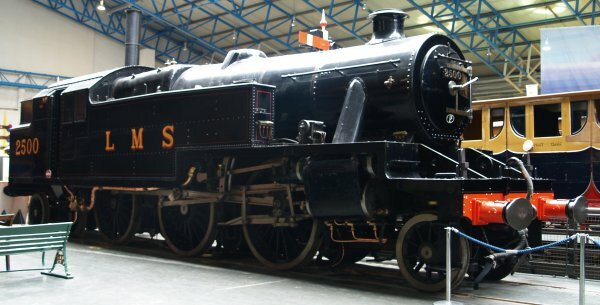 'Black Five' 5000 was built at Crewe locomotive works in 1935. 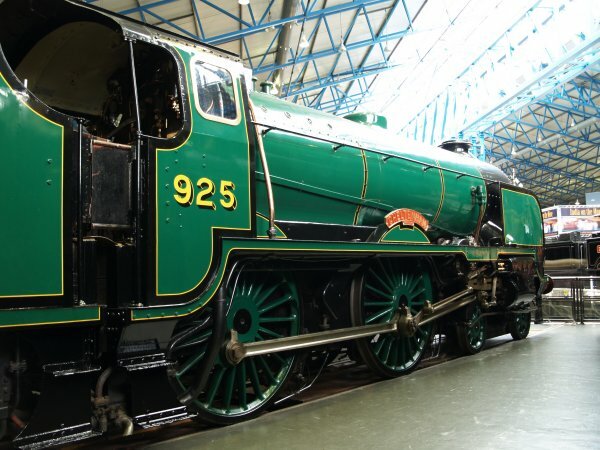 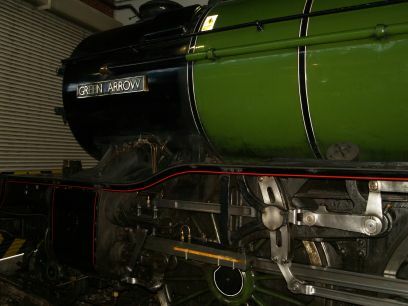 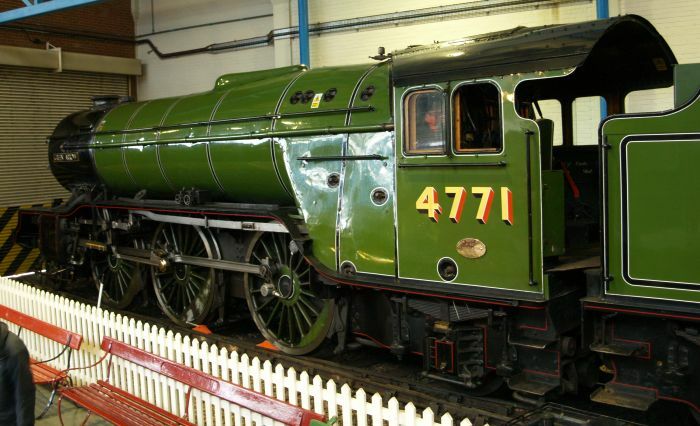 60800 GREEN ARROW 2-6-2 Class V2 steam locomotive built as LNER 4771 (800) at Doncaster in 1936 for express passenger trains and express freight trains. 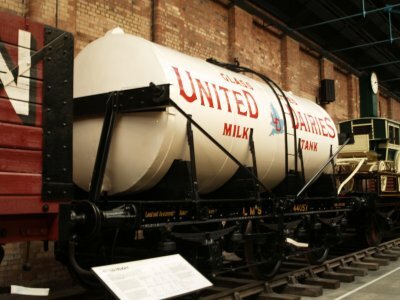 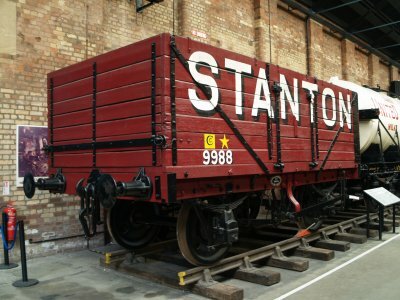 There is a good variety of freight wagons and good vans carrying all manner of goods!